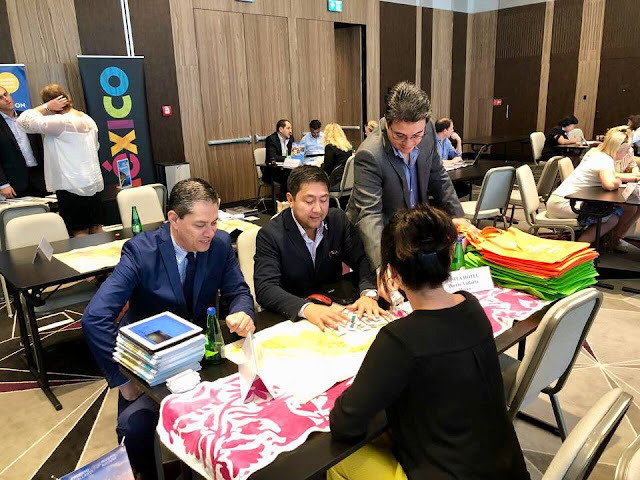 The Riviera Nayarit Convention and Visitors Bureau and the Puerto Vallarta Tourism Trust worked with 150 travel agents in the cities of Vilna, Lithuania; Riga, Latvia; and Tallinn, Estonia during the Travel Trade Road Show Baltic. 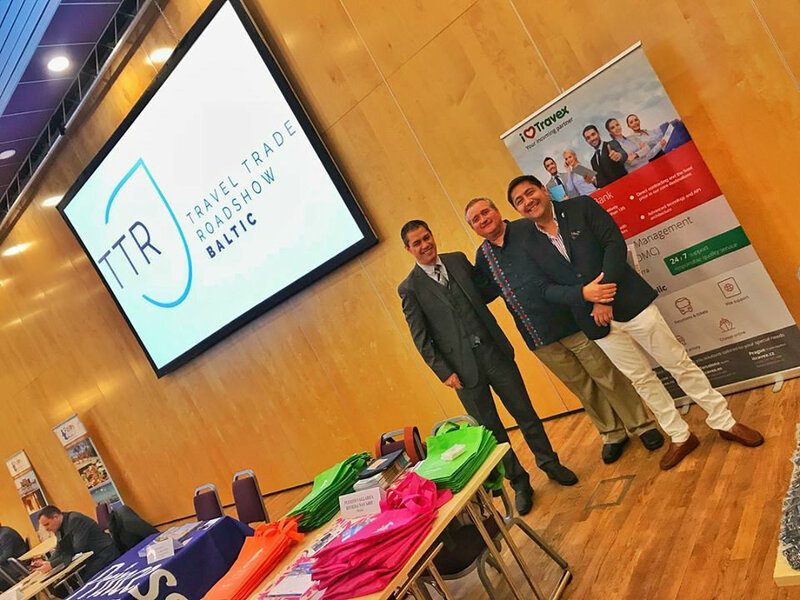 The Riviera Nayarit Convention and Visitors Bureau (CVB) and the Bahía de Banderas Hotel and Motel Association (AHMBB) were front and center at the Travel Trade Show Baltic events that took place from May 22-24 in the main cities of the Baltic states—Vilna, Lithuania; Riga, Latvia; and Tallinn, Estonia—with the objective of bolstering Finnair’s seasonal winter flight. Approximately 40 exhibitors from different regions of Europe, Asia, and the Americas, as well as the Riviera Nayarit and its sister destination, Puerto Vallarta, took part in these events over the course of three days. Their participation was spearheaded by the Mexico Tourism Board office. The promotions team interacted with 50 travel agents in each of the aforementioned cities. They held free-form workshops in each one, where agents would visit the exhibitors at their respective work tables to receive information regarding the destination’s tourism product. 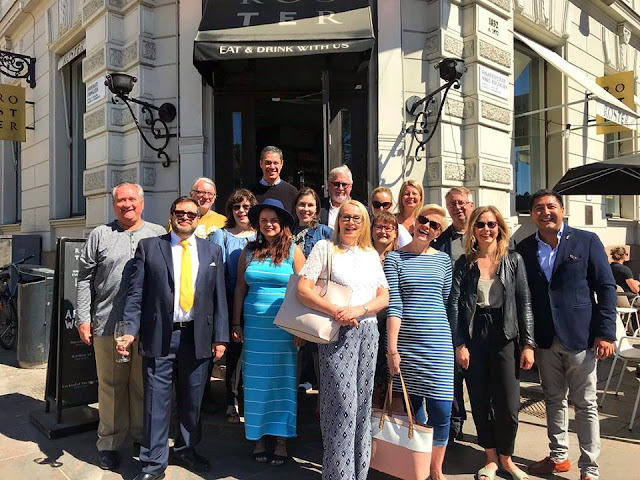 At Vilna and Riga, the first cities on the list, the agents were thrilled to find out about the Finnair flight that operates directly from Helsinki, Finland, to the Puerto Vallarta-Riviera Nayarit area, as these cities have direct connectivity with this Finnish city. Promoters for the Riviera Nayarit and Puerto Vallarta at work during their activities in the Baltic states. The travel agents at Tallinn were already familiar with the offer, since wholesaler Aurinko Matkat has offices in that city and the flight is selling very well, to the point that some agencies already have reservations to both destinations for the next winter season. Of note is the fact that Tallinn is so close to Helsinki that the two cities are connected via ferry. A joint dinner presentation was held on the 25th for 12 Finnish media representatives in Helsinki with Marco Antonio Loustaunau, Mexico’s Ambassador to Finland, as a guest. On Monday the 28th the two destinations held a breakfast presentation for 50 travel agents in St. Petersburgh with the presence of representatives from Finnair as well as four hotels from both destinations and a representative of the Mexican Consulate. St. Petersburgh is only three hours by train from Helsinki; as with Tallinn, this proximity is very important for the sale of the direct flight in this market. Lastly, the team visited the city of Moscow, Russia, where a breakfast presentation was held on Tuesday the 29th for 70 travel agents, as well as a press conference for 18 Russian media representatives. These events were attended by the Director of the London office of the MTB, as well as Norma Pensado, Mexico’s Ambassador to Russia. The pleasant climate, the culture, gastronomy, and the many activities that can be enjoyed in the Puerto Vallarta-Riviera Nayarit area are only a few of the incentives behind this work trip, as travelers from these Baltic states usually stay for one to two weeks. As for accommodations, they seek the entire gamut offered by both destinations. Finnair announced its intention to fly to the region in January 2017. The first direct flight from the Finnish capital arrived in Puerto Vallarta-Riviera Nayarit ten months later, on November 5, 2017, with the expectation of a 20-week run during the winter season. The intent is to increase connectivity to the country and expand in new markets, as well as promote an increased revenue stream for local businesses, boost hotel occupancy, and incentivize the growth of tourism demand for the destination. 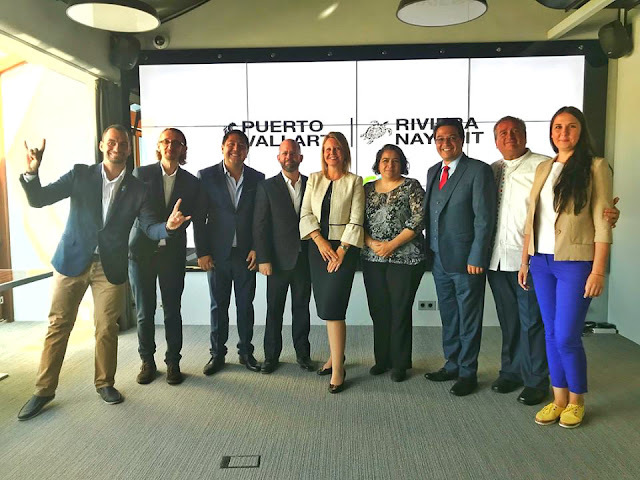 The Riviera Nayarit Convention and Visitors Bureau (CVB) and the Bahía de Banderas Hotel and Motel Association (AHMBB) reaffirm their commitment to the strategic promotion of the destination, pursuing areas of opportunity and consolidating new markets in order to increase the number of incoming tourists, together with the support of the Government of the State of Nayarit via the Tourism Promotion Trust (Fiprotur).